We can’t stress enough the importance of using quality vehicle oils, making sure they are topped up and changed regularly. 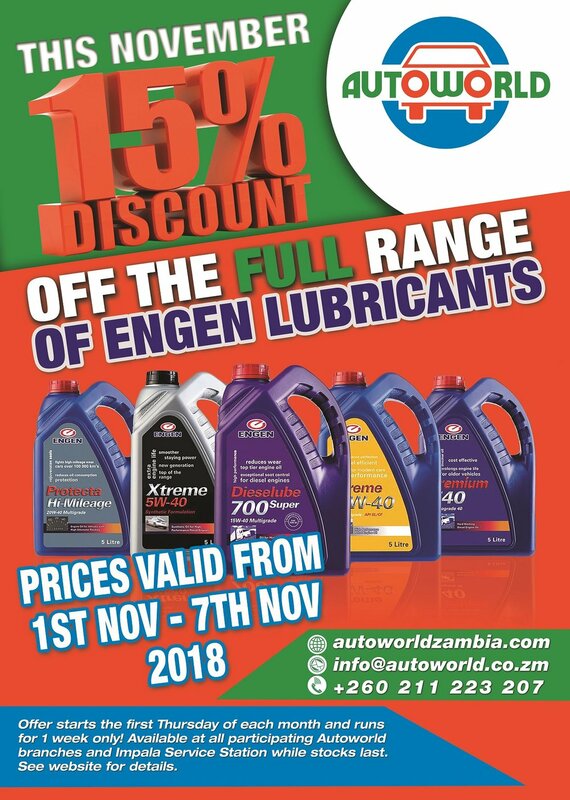 To encourage Zambian motorists to keep their vehicles in good shape, Autoworld is offering a full 15% off all Engen lubricants. This discount is only available while stocks last, for one week only - from Thursday November 1st 2018. Don’t miss out!